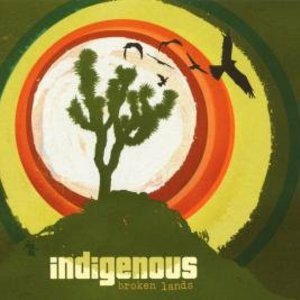 Native American Band Indigenous deliver their album Broken Lands for 2008. Indigenous were nominated in three categories and won the award for Best Blues album at the Aboriginal People's Choice Music Awards (APCMA). Indigenous is an American blues-rock group that came to prominence in the late 1990s. The band originally consisted of two brothers, Mato Nanji (vocals and guitar, b. 1974), Pte (bass guitar), along with their sister, Wanbdi (drums, vocals), and their cousin, Horse (percussion). Their music is heavily influenced by guitarist Stevie Ray Vaughan, as well as Jimi Hendrix and Carlos Santana. Mato Nanji's style and skill has drawn comparisons to each of these guitarists. The band has also shared the stage with artists of varying musical genres such as B. B. King, Santana, Bonnie Raitt, Joan Baez, the Indigo Girls, Jackson Browne.